First Edition published by Dreamspinner Press, 2015. This was an unexpected pleasure. An atmospheric paranormal crime story set in the Colorado Rockies, I read it in a single sitting, thoroughly captured by the voice of the narrator, a small-town sheriff. I loved Sam and I loved the complicated characters in Pine Creek. No one is as they first appear and the frightening events in the story push Sam beyond the limits of skills honed through his military experience. When logical law enforcement can’t solve the crimes in Pine Creek, Sam is forced to consider Native American spirituality and Catholic mysticism. Part of this story is a romance, with Sam re-telling, in non-sequential reflections, his relationship with his husband, Michael. Michael and Sam may have started as an unlikely couple but years later they are solid, and the affection and care within the marriage is very moving. I really enjoyed the maturity of this post-happily ever after love story. I am so glad I requested this book from the blurb, without looking at the cover or reviews for the earlier short story published in 2015. The earlier cover suggests a silly holiday romance and the new cover is a huge improvement. I can’t imagine the many complex strands of this story fitting into 35 pages and I’m guessing earlier negative reviews reflected the discord between what readers expected and the reality of this story. This paranormal crime story is more horror than holiday romance and the writing is beautifully, thoughtfully crafted. There is some resolution, but I really enjoyed the loose threads and questions I was left with at the end. I loved this story and I’m glad to see Dreamspinner Press stretching beyond traditional m/m romance. GEORGE SEATON lives and writes in the Colorado mountains. He shares his life with his husband, David, and their Alaskan malamute, Kuma (“Bear” in Japanese). His lifelong love of Colorado—both the magnificent land and the critters that inhabit it—is the subject matter of most of his writing. He is an Army veteran, and that experience also carries over into his storytelling. George was first published in 2009, and his novels, novellas, and short stories have all centered on the interactions of people intent on finding the best path through life, where love is usually the healing salve that makes the journey worthwhile. His stories reflect the conflicts in life that we all must overcome in our search for that place where our hearts tell us peace resides. George says he writes because he breathes. 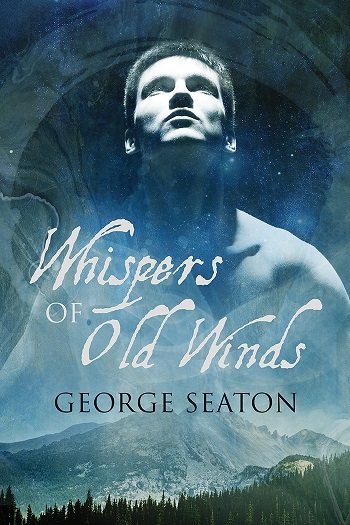 Reviewers on the Wicked Reads Review Team were provided a free copy of Whispers of Old Winds by George Seaton to read and review.